Social Media Portal (SMP): What is your name and what do you do there for Talkative? Ben M Roberts (BMR): My name is Ben M Roberts. I am the head of marketing here at Talkative. SMP: Briefly, tell us about Talkative what is it and what does company do? 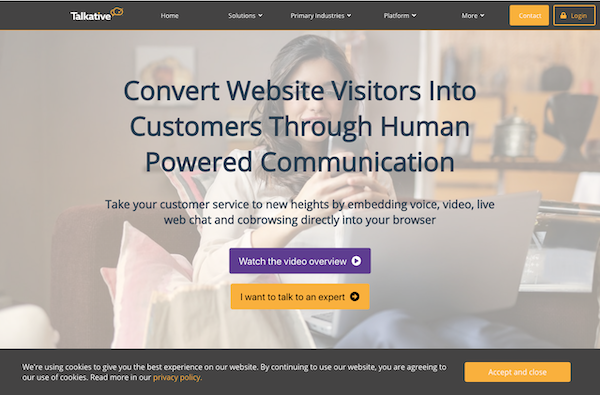 Talkative is a UK-based SaaS company that is seeking to humanise and improve website-based communications. This includes live web chat, web calling, video calling and cobrowsing. All of which are easily embedded into a website and integrates with all existing systems including CRM software and telephony systems. BMR: Our target audience are medium to large businesses who operate in high value markets, or who offer highly complex products. Some of the main industries that we are currently focussing on include automotive, travel, financial services and ecommerce. SMP: What were you doing before you joined Talkative and how did you snag your current job? 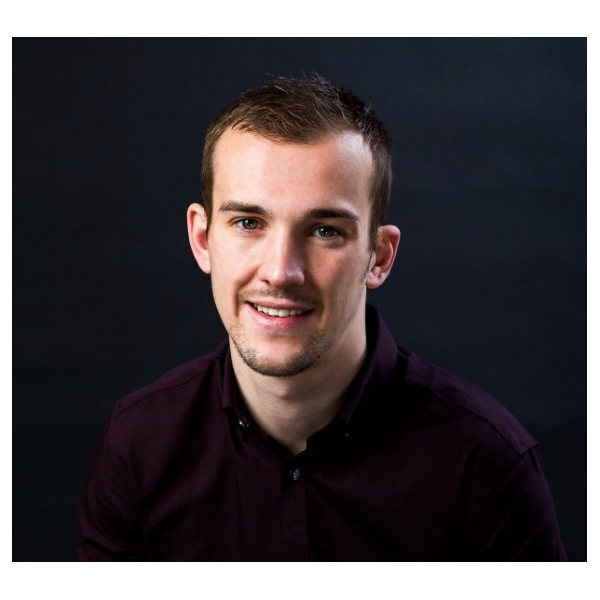 BMR: Before Talkative, I was head of marketing at a top 100 Insurance broker in South Wales. I was lucky enough to find the Talkative opportunity online, I applied and the rest is history. BMR: Each day is pretty different, which I absolutely love. There is a rarely a typical day. However, the team and I spend a lot of time reading and creating a range of blog content and website content. We also closely monitor SEO changes, trends and industry movements so that we can provide timely help for members of the industry. Personally, I do a lot of analysis, reporting, and meeting with people within the industry to allow us to create the most valuable content possible for our prospective and current customers. SMP: What are the challenges that you’ve encountered and how are you overcoming them in what you have been doing so far at Talkative? BMR: The biggest challenges we have been facing is ensuring that we get found and ranked highly for natural (organic) search. There isn’t a high volume of search traffic for our terms but there are lots of companies competing, therefore we have to constantly find ways of creating content that our potential customers will find valuable. We are overcoming this by using a mixture of offline and online research. Offline includes attending industry events to gauge the industry and understand people’s thoughts and feelings. Online research includes the use of tools such as Moz, ahrefs, Keyword Planner and of course, normal Google searches. BMR: Rebuilding the main website. This has led to increased leads and lead quality. We took the decision to build the website from scratch to give us increased flexibility and allow us to control everything about our website. We are really happy with how it’s turned out so far. SMP: What are the main social channels are you using, why and which are the most effective for Talkative. BMR: The primary channels we are using are LinkedIn, Twitter @talkatativeuk and YouTube. We are using these, as we are creating valuable video content for our B2B audience. We want to encourage conversations and add value directly to those who might be interested in using our products. What sort of activity / engagement are you receiving across the social channels that you use and how do you create / sustain this? The LinkedIn image is a snapshot of our talkative metrics. However, we have a strong culture of using our personal brands to promote Talkative and what we do. Through my podcast I have managed to build a sizeable audience. Using our personal brands gives our messages increased reach. It also means we can add more personality to our posts. BMR: The biggest challenge ion our industry is helping businesses to understand that they cannot replace their call and contact centre staff with chatbots. Instead they should be enriching and enabling their human staff to create better experiences and retain a human touch. SMP: What is the most challenging part of building upon your brand presence across digital environments? BMR: There are thousands, upon thousands of SaaS companies trying to build their brands and reputations online and through social media. This means we have to find unique ways of building up our brand a reputation. We are trying to produce, high quality, highly valuable content that meets the need of our prospective customers. SMP: What do you think is going to be the most interesting aspect regarding digital marketing for the next 12 to 18-months and why? BMR: We will see a battle for the most human brands. As the amount of technology continues to increase, there will also be a growing clamour for a more human approach to business and marketing. This is particularly interesting as it will mean brands have to balance things up. They will have to balance up the need for implementing new technologies whilst keeping the human element of their brands. The rise, and rise again of human powered marketing. An increase in instant communication through chatbots and live web chat. Increasing popularity of Instagram and new features to increase cross-user collaboration. A further reduction in creating loads of ‘snackable content’, and instead a refocus on long-form content. Growth of VoIP marketing and more brands creating things like Alexa Skills. Consistency is Core – You have to be consistent in your marketing. You cannot flirt from one thing to another every week. Use personality – People buy into people. The more personal you are the more relatable you are, and the more likely people are to like, know, trust and buy from you. Always consider re-purposing options for your content. SMP: Best way to contact you and Talkative? Watch the Talkative YouTube video to learn more. BMR: Raisin loaf. Made for the gods. BMR: Took my partner to A&E after she got with in the head with a hockey ball. SMP: If you weren’t working at Talkative what would you be doing? I set up the Marketing Buzzword project in January 2018 with a podcast. It has since gone absolutely crazy. I now do 2 episodes a week, and have a book coming out spinning off it. In each episode of the podcast I look to bring on different marketing and business experts from around the world to help break down these buzzwords. This has proven to be a really good format for building up the podcasts audience an reputation. The marketing buzzword project looks to help marketers and business people to break down common marketing words and phrases to help them either make sense, or work out if they should be incorporated into a marketing strategy. BMR: Went to the South of France in August for my partners’ grandmother’s 80th birthday. BMR: Shrink like Antman. It’s just awesome. Antman is awesome. Life would be awesome.